It was an old log cabin that had a collapsed roof and side wall. 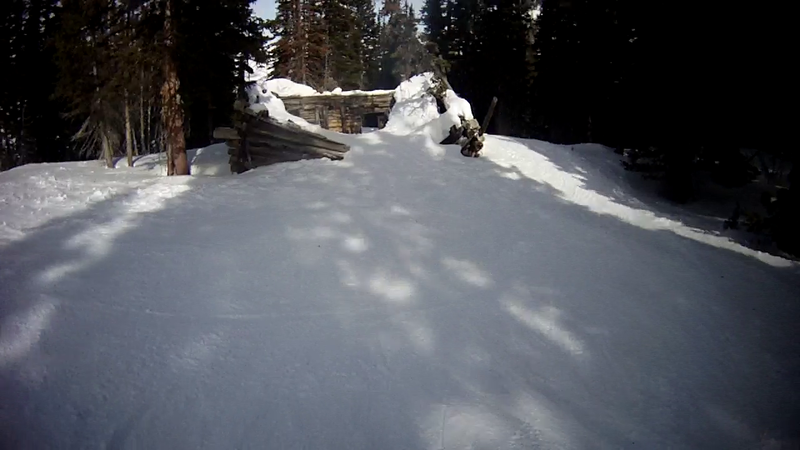 We were both pretty surprised to find this, but it made for some fun skiing in addition to weaving through the trees! 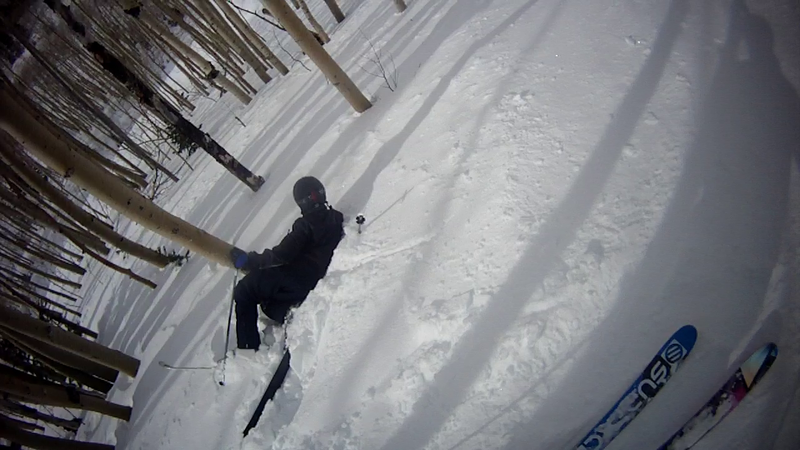 Skiing trees is always fun until one asks you to dance, of course. And last but not least the race course was open for some fun runs. Dallin came in with a time of 29.87 seconds and I finished in 26.45, but the best time of the day was in the range of 17 seconds. We weren’t even close, but it was fun! 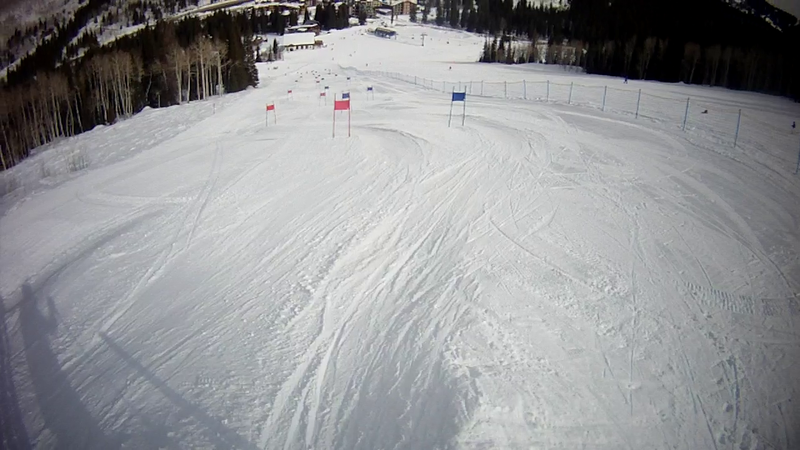 Overall, we had quite a bit of variety and good ski runs, despite the lack of new snow. It looks like you and Dallin Woolley had a lot of fun yesterday. I *almost* wish I could have come, except for the being cold part. 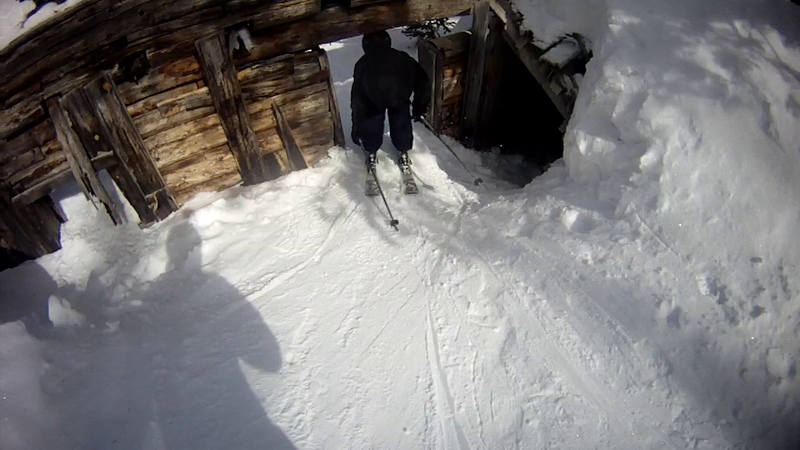 And the part where I’m not all that good of a skiier. Something else to love about Honeycomb Canyon!